TechSoup provides donated and deeply discounted products and services to nonprofits and libraries. Some of our donor partners make their product donations available to organizations with religious missions . And, if your church or faith-based organization has a primary mission that is nonreligious, you might be able to register with an organization type that allows you to be eligible for even more of our donation programs. This free webinar is designed especially for churches and faith-based organizations interested in learning more about the TechSoup donation program so they can get the most value from TechSoup.org. Stories, ideas, and even events come together under the hashtag #CitizenGulf all focusing on the families affected by the oil spill. From twitter to blogs and social networks, people have come together to hold events offline around the US on August 25th. How can you get involved? Learn more and take action on and offline today! Visit http://gulfcoastbenefit.com to find events in your area and contribute to the #CitizenGulf efforts. I recently connected with Sachin Malhan, CEO and co-founder of inclusive planet, an online platform that enables people with print impairments to find each other, connect, interact, build communities, and share accessible content and solutions. Started in India, this project is rapidly growing to be a world-wide resource for the visually impaired to both learn and interact. Networked Nonprofit: Get the book! Beth Kanter and Allison Fine's book, The Networked Nonprofit, is now out and starting lots of conversations. But what's everyone talking about? Below I've shared some excerpts and resources to get you started and ready to join in! I recently had the opportunity to connect with Kedar to learn about a new project to help users measure and manage their consumption, in effect encouraging them to control their environmental impact. I found the project so interesting that I wanted to share it with you here in an interview, covering some key questions from Kedar. There's also a chance for you to provide your feedback, ideas, and even contribute! I’ve followed Kivi’s work for years and am happy to call her a colleague and friend. She’s a go-to resource for nonprofit marketing and her new book is called The Nonprofit Marketing Guide (get your copy here). I’m thrilled to have the chance to share an interview with her here and encourage you to add your questions in the comments! This interview is part of her virtual book tour; check out the full calendar of events. 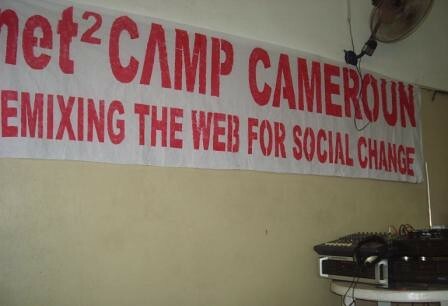 The NetSquared Camp pilot is off and running: The first event, in Cameroon, was a great success, with more events scheduled throughout the summer. On May 29th, 65 participants came together at Maison de Jeunes Bepanda, in Douala, Cameroon, for a full day of presentations and opportunities to share, learn and build together. We have three events taking place next week and I'm really excited - I know they all have great speakers and participants coming, and there will certainly be some valuable content and conversations emerging. If you are in one of these regions and aren't signed up, check out the events in Portland, OR; Chapel Hill, NC; and Paris, France. But, back to the notes!